Finding a reliable heat pump repair, replacement and installation professional in The Woodlands is as easy as calling 281-704-3696. Affordable American Air Conditioning & Heating provides expert heating solutions you can trust. We will come out to inspect your heat pump and provide you with the most practical solution. Save money with our online coupons when you click here now. Many homeowners struggle to find the ideal heating and cooling solution for their home. A heat pump is one solution that meets both needs because it can be used for both heating and cooling. The key is to find a knowledgeable, experienced service provider in The Woodlands, TX to provide you with expert installation and repair services when you need it the most. Check out what your neighbors have to say about our services when you click here. A heat pump functions by transferring heat from one spot to another. It works like an air conditioning unit that has a heating component. 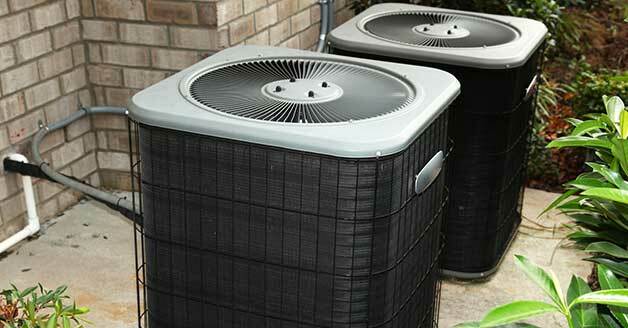 There are two basic types of heat pumps: ground source and air source. With a ground source heat pump, warmth is transferred from the ground to your home. With an air source heat pump, the warmth is taken from the air and transferred to your home. Heat pumps don’t have to create heat in order to provide heated air to your home; they simply take it from one area and move it to another. Using a heat pump offers advantages over standard heating methods in both cost and function. They work in both the summer and winter, moving heat from the outside in, or the inside out depending on your needs. You only need to have one system installed and maintained to enjoy whole-home comfort all year. Since they use heat from the surrounding environment, heat pumps are also a greener choice than standard systems. There is no heat creation from combustion or electricity. You also have the option of installing a zoned heat pump system, where you can heat and cool specific rooms to save energy and money. Heat pumps offer several benefits to homeowners and their families, but easy DIY installation and repair isn’t one of them. You should always seek out a reputable service professional to have your heat pump installed, repaired and maintained. The fact that you depend on it for your indoor comfort all year long makes professional service all the more important. If your heat pump hasn’t been working the way it should, or if you’ve been considering a replacement, call Affordable American Air Conditioning & Heating at 281-704-3696. We will provide you with a fast and dependable solution in The Woodlands, TX and surrounding areas.